Now that geneticists—along with neuroscientists, cognitive psychologists, and others who study development—have broadened their focus from the naked double helix (that is, the DNA) to the chemical attachments that make up all those knobs and switches, they must grapple with a force long thought to have little direct impact on genetic inheritance: the environment. Epigenetic processes react with great sensitivity to genes’ immediate biochemical surroundings—and even more surprisingly, they pass those reactions on to the next generation. This biochemical stew in turn reflects what organisms ate, drank, breathed, swam in, or felt. In other words, your genome is being affected by your social reality—by whether you live in a clean suburb or dirty city, eat fresh food or junk, and feel empowered or embittered by your station in life—and is likely to pass some sort of epigenetic memory of that experience to your offspring. As paradigm shifts go, this is huge. 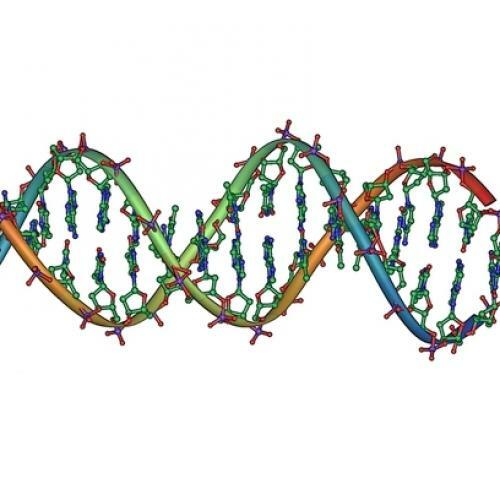 Epigenetics revives a theory our high school biology teachers taught us was bunkum: Lamarckism, or the notion that traits acquired during your lifetime can be passed on. The theory takes its name from Jean-Baptiste Lamarck (1744–1829), who, in a much-ridiculed remark, speculated that giraffes have long necks because they were always stretching them to reach the leaves on tall trees. August Weismann, the father of modern Darwinian genetics, slapped down this crude theory at the turn of the twentieth century when he cut tails off mice to show that their tailless state could not be communicated to their pups. Lamarckism was further besmirched by Trofim Lysenko, the Soviet botanist beloved by Stalin. Lysenko’s kooky and crudely Lamarckian ideas about plant hybridization and grafting dominated Communist agronomy for decades, ultimately contributing to China’s horrific famine during the Great Leap Forward, in the late 1950s. Lamarck’s own ideas were never as dismissable as all that: even Darwin thought that acquired traits played some role in evolution. And the new Lamarckism has some large implications. Epigenetic research suggests that organisms adapt much more quickly and in much more promiscuous conversation with their habitats than orthodox theories of natural selection allow for. I was taught to think of nature as a stern and silent selector, acting passively on those mutations that were presented to it by chance. New research suggests that in fact nature may prompt and shape variations. Genes may turn off when traits prove non-adaptive, or turn on when they are helpful. In a process called directed mutation, cells under extreme stress may send out emergency signals that can help kick start mutation even in defective genes, creating mutational hot spots. Under circumstances such as these, some form of variation, which was previously thought to be purely random, may turn out to be an evolved response to crisis that gives organisms a better chance of survival. Epigenetics has big social implications, too, even if scientists do not like to talk about them. The knowledge that genes interact with their surroundings confronts us with our own terrifying mutability. In old-school genetics, genes dominated development but were invulnerable to change themselves. In the epigenetic view of things, genes are mere members of an ensemble cast of biochemicals in a cell, susceptible, like other members of the cast, to what goes on in the vicinity of the cell. “Genes function as material resources for the cell,” declares Richard C. Francis in his new book. “But most fundamentally, the ‘decisions’ as to which genes will engage in protein synthesis at any point in time is a function of the cell, not the genes themselves.” All this suggests that humans have more control over the physical destiny of our species than we had imagined. It also means that we can make bigger messes of ourselves than we realized. Consider endocrine disruptors, biologically active chemicals common in consumer and agricultural products that can introduce errors into genetic regulation, particularly if ingested in the womb. Francis gives the example of the widely-used fungicide Vinclozin. Male rat fetuses exposed to low levels of Vinclozin tend to develop faulty sperm and reduced fertility as adults, as well as adult-onset diseases of the testes, prostate, kidneys, and immune system. This is bad enough, but now that we understand the mechanism of epigenetic inheritance, we see that the problematic on-off pattern attached to Vinclozin-affected genes can be passed down through the male line for up to four generations. Francis comments that “these experiments have not been replicated in humans, nor will that ever happen—what prospective mother is going to volunteer for Vinclozin exposure? But they provide compelling evidence that endocrine disruptors are not just a problem for fish and frogs.” These experiments also hint at a remarkable new level of human culpability. We may not just be poisoning those of us who live today; we may be poisoning our children and our children’s children. Francis goes on to review the literature on the epigenetic causes of obesity, neurological disorders, and stress. This is mesmerizing stuff, not just because those are the symptomatic ailments of our anxious and overfed age, but because many of the studies that he cites efface the already elusive line between biological and social inheritance—between the genetic and epigenetic patterns communicated from parent to child, on the one hand, and parental behavior on the other—and make us see new physiological dimensions to things once thought of as straightforwardly cultural. Take rat mothers and their licks. To grow up strong, calm, and socially adept, a rat pup needs a lot of good, steady licking from its mother. The touch of the mother’s tongue stimulates a hormone that turns on a gene that produces receptors for a hormone which tones down another hormone that enhances stress—in short, well-licked rat pups are less easily stressed out. As in human society, neglect begets neglect, and the daughters of the well-licked turn out to be good lickers, while the daughters of the poorly-licked turn out to be poor lickers. One reason is quasi-behavioral: poorly licked rat mothers are too stressed to focus properly on their own pesky pups. Another reason is quasi-epigenetic: the daughters of the poor under-licked rats appear to be born with fewer estrogen receptors than the daughters of the well-licked, making them less capable of processing the hormone oxytocin that makes them want to lick their pups. It is important to add that neither behavior nor epigenetic marking is irreversible. If you take the daughters of a poor licker and place them in the litter of a good licker, they will grow up to become good lickers, and vice versa. In the rat world, poor mothering and good mothering perpetuate themselves in “a form of social inheritance mediated by epigenetic processes,” as Francis puts it—which is another way of saying that from the dynamic perspective of epigenetics, nature and nurture just can’t be teased apart. And as with rats, so with us. Extensive research on gorillas, monkeys, and humans bears out the thesis that maternal styles among primates represent similar amalgams of memory and chemistry rolling down through the ages. Francis is not wrong to be afraid of the controversy that comes with inserting epigenetics into wider debates. Suggest that Darwinism is due for an update—though in the case of epigenetics it is really neo-Darwinism, the early twentieth century “Modern Synthesis,” rather than Darwin’s own ideas—and you will soon be fielding requests to appear on creationist talk shows. But the fundamentalists would be a sideshow if the industrial lobby were to become alarmed about the implications of epigenetics research. Should epigenetics become too closely associated with, say, the regulation of chemicals, it could fall victim to the kind of backlash that has in the past engendered misleading scientific research and endangered government funding. But us lay people need a spoonful of spice to make our science go down: we want to know who has been fighting about it, and why it matters, and not just how it works. If Epigenetics gets you interested in the larger picture, consider moving on to a book written by two evolutionary theorists, Eva Jablonka and Marion J. Lamb, called Evolution in Four Dimensions. It requires no more biological knowledge than Francis teaches you, is written in a witty, accessible style, and has controversy to spare, upending everything you thought you knew about genes, evolution, inheritance, and even culture. Epigenetics will only seem revolutionary if you have not been following it all along, but in that case it is time to catch up. Judith Shulevitz is a contributing editor for The New Republic. Her book, The Sabbath World: Glimpses of a Different Order of Time (Random House), appeared in paperback this spring.